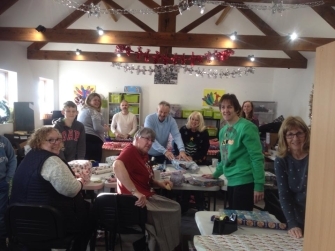 The Christmas Sparkle Project work with local charities, schools and other agencies who support families in need. We aim to give a Christmas gift to every child living in difficult circumstances in the Taunton and Wellington community. We want to make every child's Christmas Sparkle. Local schools, businesses and groups collect brand new gifts for us. There are also donation points in Taunton and Wellington so that members of the public can donate too. 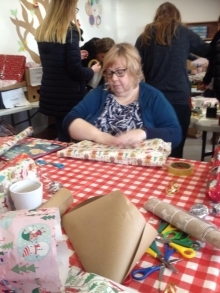 We welcome volunteers to our elves’ workshop to help us wrap the presents on 4 designated wrapping days. Some of the many agencies we work with are Halcon One, North Taunton One, Women’s Refuge, Besom and Health Visitors. In the week before Christmas, we go to the Taunton Foodbank and give out gifts and selection boxes to families using the Foodbank. If you would like to know more or belong to an organisation that might be interested in supporting us do get in touch either through Facebook or via our Contact Page.